In Syria, Turkey’s warplanes struck Kurdish militias known as the People’s Protection Units, or YPG, who are allies of the US-led coalition fighting the so-called Islamic State (IS or ISIS or ISIL or Daesh). The YPG said that Turkey’s airstrikes killed 20 of its fighters and wounded 18 others, and caused extensive damage to YPG headquarters and nearby civilian property. Although the US considers the YPG to be the most effective fighting force on the group against ISIS, Turkey considers them to be an extension of the Kurdistan Workers’ Party (PKK). The PKK have been conducting an anti-government insurgency in Turkey since 1978, and have conducted numerous terror attacks on civilian targets in Turkey. In Iraq, Turkish warplanes struck Kurdish targets in the Qandil mountains in northeastern Iraq and on Sinjar mountain in northern Iraq. The PKK stronghold is in the Qandil mountains, and Turkey’s warplanes have been targeting that region for years. The strikes on Sinjar mountain are a new development. According to reports from Kurdish sources, one PKK fighter was killed, but the airstrikes also killed five Peshmerga and wounded nine others. The Peshmerga is the Kurdish Iraqi militia that are part of the effort to expel ISIS from Mosul. The Kurdish Regional Government (KRG), which says that it is distinct from the PKK, condemned the airstrikes on Sinjar mountain, but also asked the PKK to leave the area. The air strikes will affect the relations between both countries and will spoil stability in the area while the Iraqi forces are launching operations against ISIS in Mosul. To destroy these terror hubs which threaten the security, unity and integrity of our country and our nation and as part of our rights based on international law, airstrikes have been carried out… and terrorist targets have been struck with success. At least 10 Turkish soldiers were killed in two separate attacks the PKK on Sunday, in the southeastern cities of Diyarbakir and Sirnak. Turkey has long objected to the use of any Kurdish militias in the fight against ISIS in either Syria or Iraq, and has taken its own military action in Syria to block attempts by the Kurds to create an independent Kurdish state of Rojava along the northern border of Syria with Turkey. 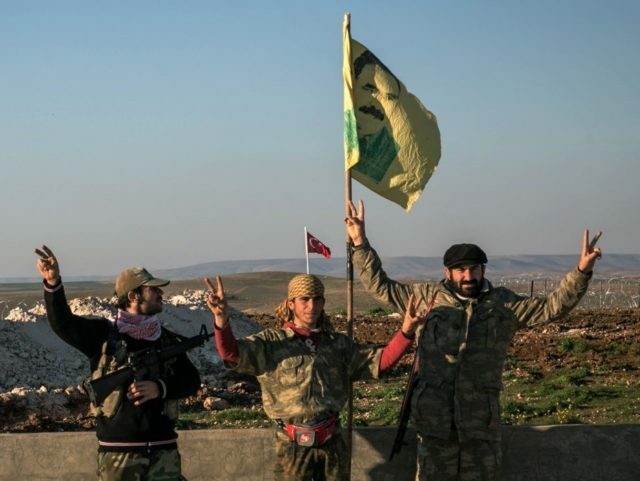 However, this has brought the US and Turkey into sharp disagreement, the Kurdish militias in Syria and Iraq have been extremely effective in fighting ISIS, and indeed are thought to the most effective fighting force against ISIS. Now, turning to Turkey, and I think it was your last question, so we are very concerned – deeply concerned – that Turkey conducted airstrikes earlier today in northern Syria, as well as northern Iraq, without proper coordination either with the United States or the broader global coalition to defeat ISIS. And we’ve expressed those concerns to the Government of Turkey directly. These airstrikes were not approved by the coalition and led to the unfortunate loss of life of our partner forces in the fight against ISIS that includes members of the Kurdish Peshmerga. I would also note that the concerns – or rather note the concerns expressed by the Government of Iraq and reaffirm our view that military action in Iraq should respect Iraqi sovereignty. And just finally, given the very complex battle space in these areas, it’s vital that Turkey and all partners in the effort to defeat ISIS coordinate their actions as closely as possible as we work together to maintain pressure to destroy ISIS on the battlefield in order to ensure that we meet that goal but also that we ensure the safety of all coalition personnel who are operating in that – as I said, in that theater. We are obliged to take measures. We must take steps. We informed the US, Russia, northern Iraq and [Kurdish President Masoud] Barzani before we bombed PKK positions in Sinjar. 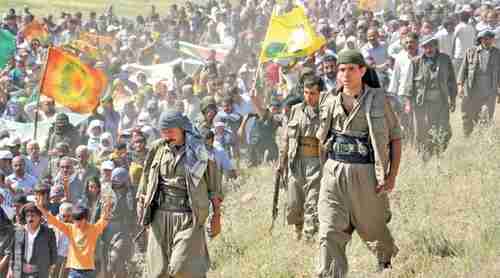 We will not allow Sinjar to become a PKK base. Our operations in Sinjar and northern Syria will continue. Turkey’s airstrikes in Syria are becoming particularly dangerous. There are now roughly three different sets of forces operating in Syria: The Syrian regime + Russia, Turkey + the Free Syrian Army comprised mainly of ethnic Syrian Turkmens, and the US-led coalition + the Kurdish militia. These three forces are currently united only because of the fight against the common enemy, ISIS. But once ISIS has been expelled from its stronghold Raqqa, then they may turn on each other. The Kurdish YPG has already threatened revenge against Turkey for Tuesday’s airstrikes.